Publications face an ongoing challenge to find qualified Reviewers in a timely fashion. Often a publication’s pool of Reviewers is overburdened, and Editors must spend valuable time searching outside of a submission system to find new Reviewer candidates. Editorial Manager version 15.1 helps relieve this burden by introducing External Reviewer Database functionality (ERD). 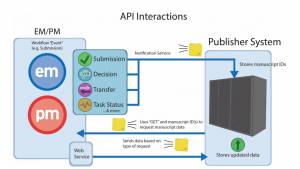 ERD allows Editors to send a request from EM to any external database of Reviewers – such as a third-party service provider or an in-house recommendation service. Behind the scenes, Editorial Manager uses an advanced API to integrate with the external database. Learn more about the External Reviewer Database by reviewing this presentation from our User Group Meeting. You can also contact us or reach out to your Account Coordinator for more information. ERD is just one of many methods of Reviewer search available in Editorial Manager. Learn more about other methods such as Reviewer Discovery. Thanks for making EEMUG 2019 a success!